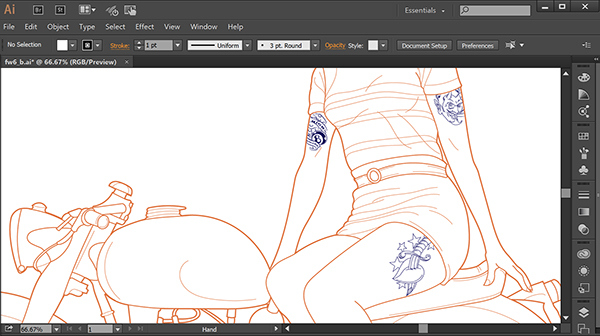 Continuing the series of editorial / fashion illustrations featuring women wearing retro style fashions with modern tattoos. 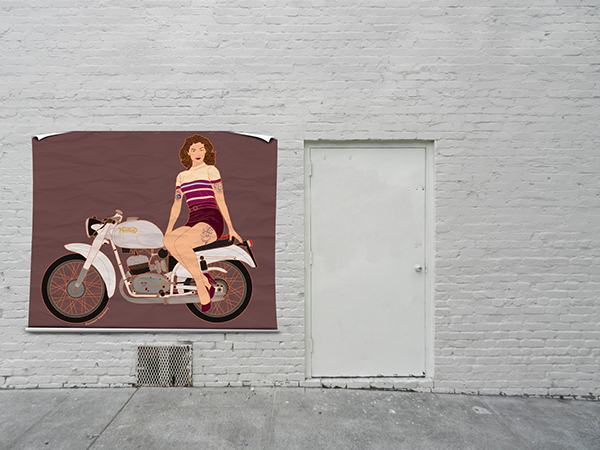 This image features a woman sitting on a vintage style motorcycle. 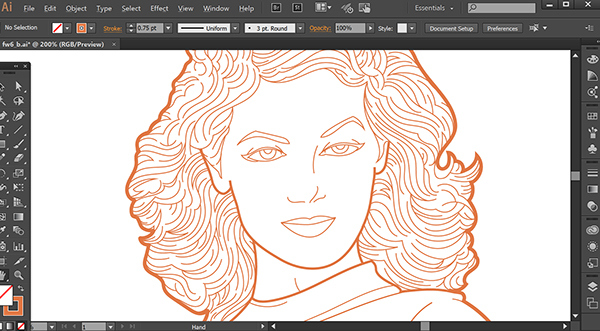 This was created using a Wacom Cintiq Companion and Adobe Illustrator. Variant edition requested by a client. 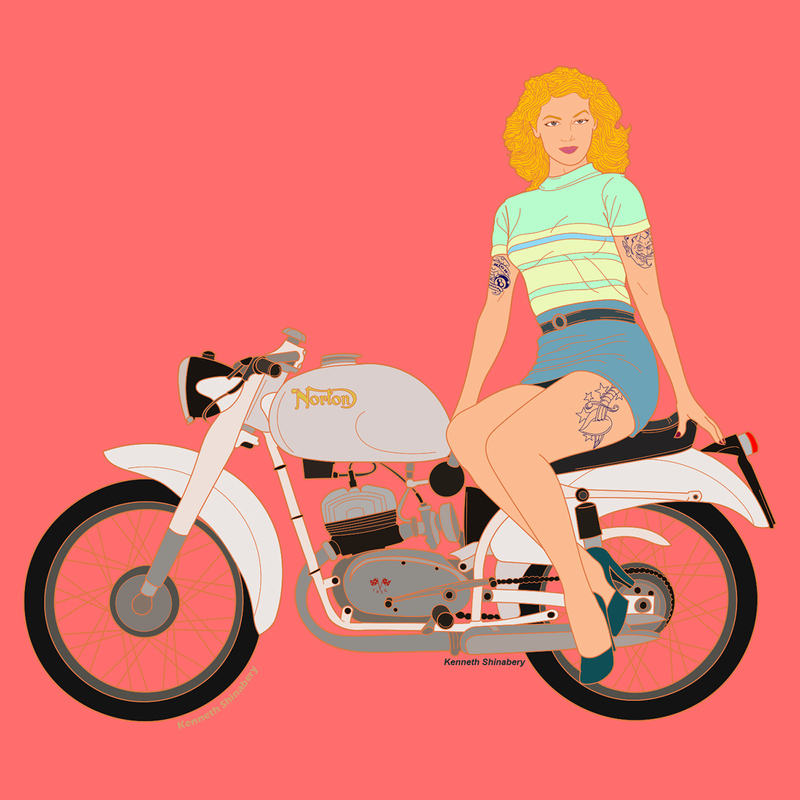 Now available in my Redbubble Shop. 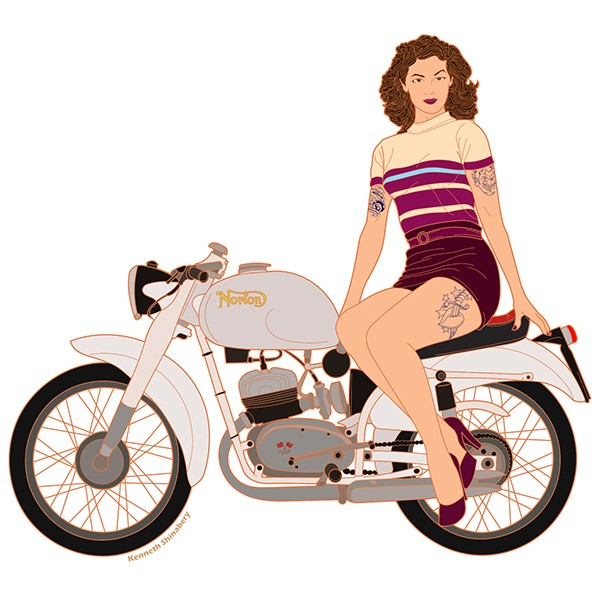 Continuing the series of retro fashion / editorial illustrations, Art Director Kenneth Shinabery combines a woman wearing vintage fashion with modern day tattoos. 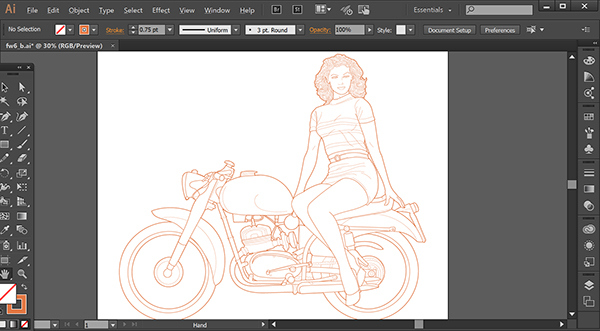 This was created using Adobe Illustrator and a Wacom Cintiq Companion 2.